It’s been a long time since a wrote a blog post and I am really missing writing. I have been so busy with my two girls that I just haven’t managed to do any blogging. 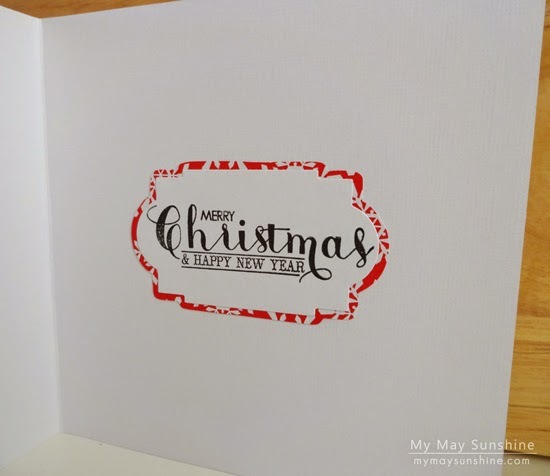 I haven’t done much card making recently but managed to make some Christmas cards and I wanted to show you them even though Christmas day has come and gone. 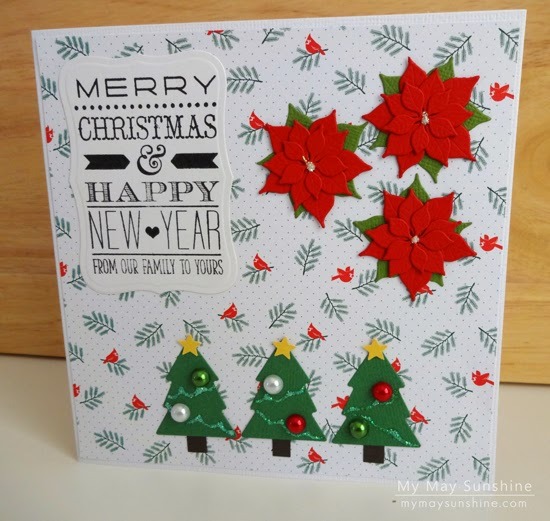 I bought the poinsettia die and the Clearly Besotted stamp set Most Wonderful so wanted to use them on these cards. 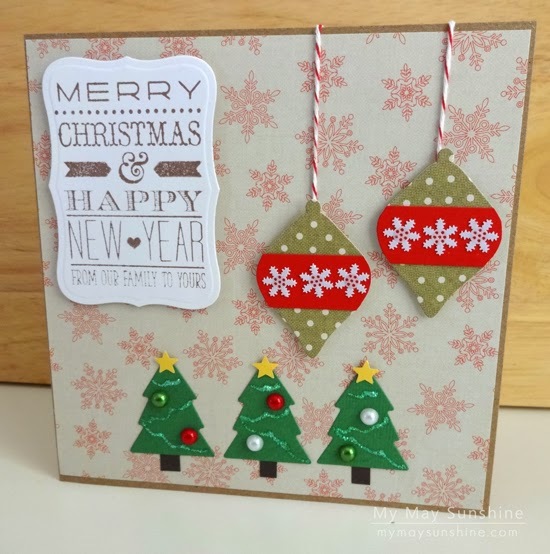 I also decided to use Christmas trees and ornaments as well. 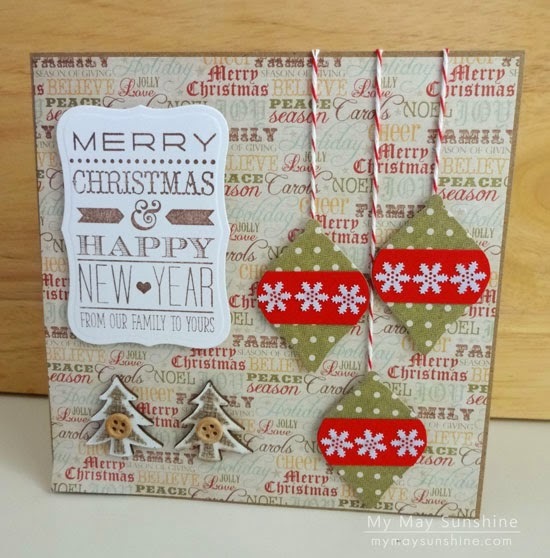 I used the large stamp in the set and stamped it on one the labels 8 dies. 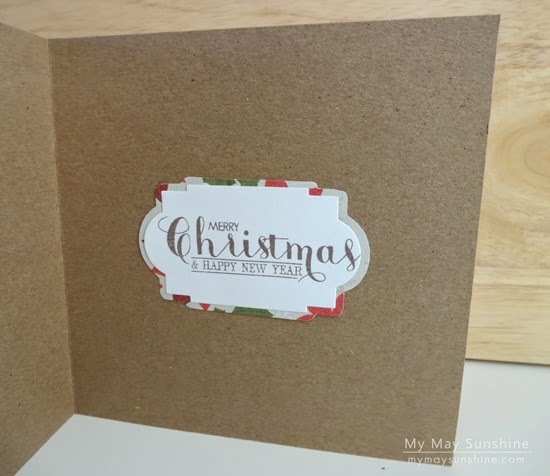 I also added label with a sentiment to the inside of the card too. 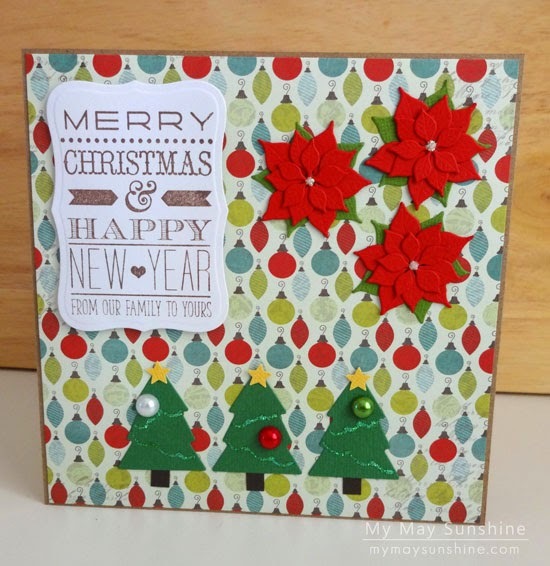 Supplies : Paper – My Mind’s Eye Mistletoe Magic, Doodlebug Home for the Holidays, American Crafts Hollyday, Dovecraft Vintage Back to Basic, American Crafts cardstock. 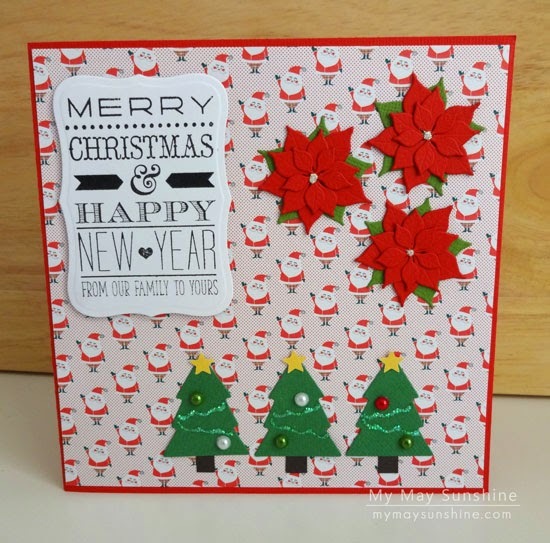 Stamps – Clearly Besotted Most Wonderful. 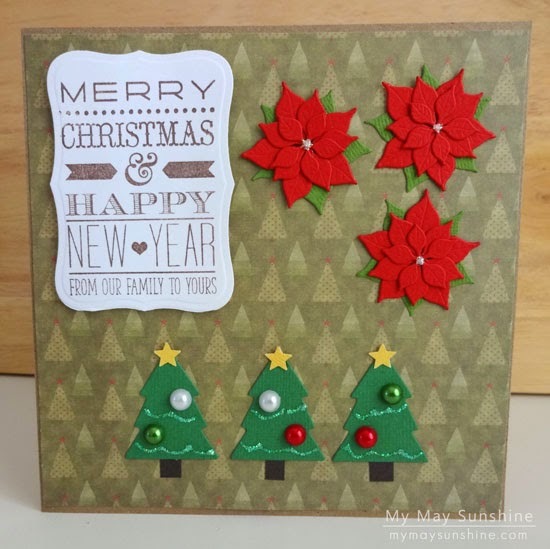 Dies – Clearly Besotted Lovely Labels and Signature Christmas, Spellbinders Nestabilities Labels 8, Robert Addams poinsettias. Gems – Mei flower crafts. I hope to start blogging again properly in the new year and will be updating my blog design and info as well as that is something I am a bit addicted too! 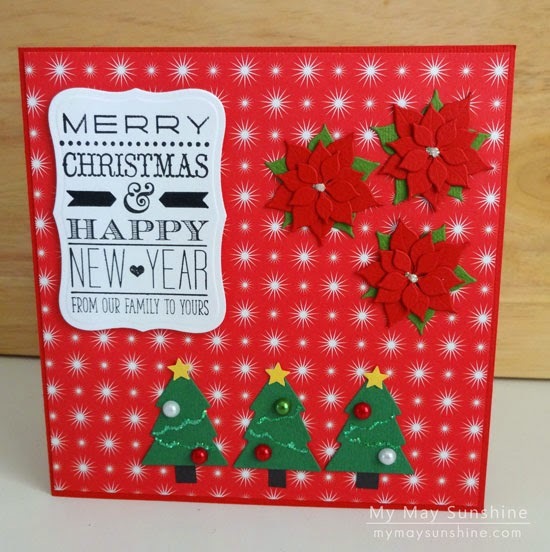 Hope you have had a great Christmas and have a lovely new year!